Welcome to Copenhagen. Welcome to part 2 of our Copenhagen exploration where we try to find the hidden essence of this Danish capital. What makes this city so special? Do you want to read part 1 first? Just scroll down to the end of this post and click the link. In part 1 we started talking about the 3 layers of Copenhagen; layers describing certain characteristics that make the city such a great destination. The layers we discovered are: Historical, Alternative, and Design. Where part 1 fully covered the Historical layer and partly touched upon the Alternative one, part 2 will take you into the world of Design and Architecture. But before we go there, first a bit more Alternative aspects of this wonderful city. Superkilen is alternative in it’s way that it tries to upgrade a neighborhood that was not doing very well. It’s an urban improvement plan intended to celebrate diversity. 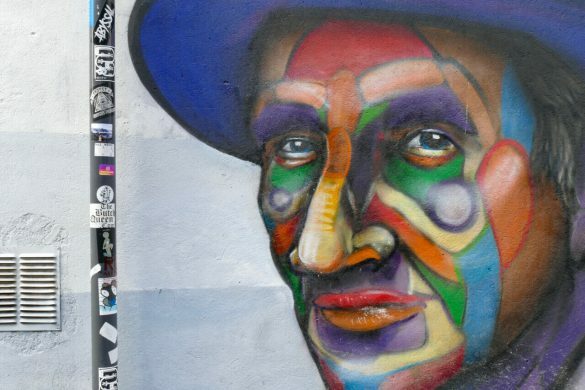 Not many visitors know about it and I personally feel it’s great to bring color and art into a city’s neighborhoods. Part of Superkilen is called the Black Market with the remarkable white lining. Another part is called the Red Square. It’s not as red as it used to be in the beginning, where street and walls were all perfectly red, but you can still see some of the red vibe! Papirøen: a colorful and cheap street food market in Copenhagen’s harbour. Here you can buy a meal from a wide selection of international street food. Dishes from all over the world are available for a very reasonable price! Highly recommended. Like the meat district described in part 1, Papirøen gets packed in weekends. It is popular, fun and a good alternative to the more expensive restaurants in town. 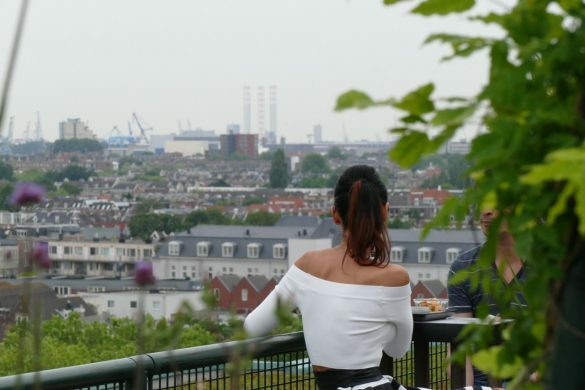 When the weather is fine people sit outside, enjoying a good conversation and the lovely views on the skyline of Copenhagen. So much for the history and the alternative scene. Next up: Design and Architecture! Copenhagen is first of all the capital of Scandinavian design. Lots of interior design shops will make the design lovers happy: Normann, Royal Copenhagen and especially HAY at Strøget. And why not also visit the Design Museum? Situated in Christianshavn and designed by a Danish architect, the Royal Danish Opera House dates from 2004. It’s one of the most modern opera houses in the world and can be seen from everywhere around the harbour. You can get to the Opera by Harbour Bus, a nice alternative way to get around. But for some real architectural wonders you have to take the metro to Ørestad, a new city development. If you are curious to see award-winning architecture, go there. Do like I did: travel with the metro to Vestamager station and walk back until you reach the Bella Sky hotel (near Bella Center metro station). Don’t walk the main road but go left, right and up to experience this part of the city. A strange part still if you ask me. It totally lacks the urban atmosphere of Copenhagen. It’s a bit artificial like Dubai. But again, great architecture and worth a visit! When you arrive at the Bella Sky hotel, go up to the Sky bar on the 23rd floor; it’s not only for hotel residents. Great views on the city and the sea. Of course the hotel itself is one piece of great architecture with its two assymetrical towers that tilt sixteen degrees in opposite directions. For die hards yet another place to visit: Denmark’s National Aquarium Blue Planet (Den Blå Planet). 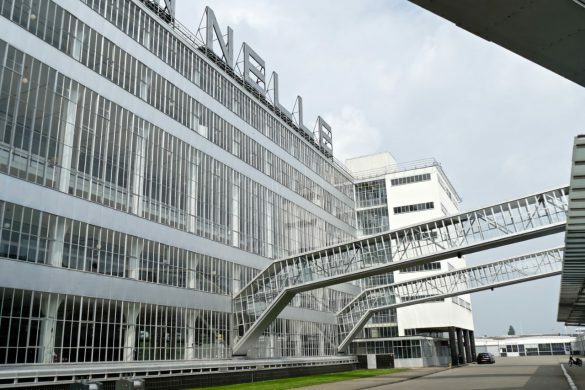 Situated close to the airport, it’s another beautiful piece of architecture. I just enjoyed the outside view and didn’t have time to go have a look inside. Now tell me, how do you like the urban atmosphere of Copenhagen? Next to history, alternative living and design the city is just an overall great place to visit. Totally bike-friendly you can reach all places on your bike easily. It seems people love to be outside. When the weather is just a little bit acceptable, citizens of Copenhagen hop on boats or populate the small pavement cafes. Enjoy! We used airBnB to find this great apartment in Christianshavn (close to the Opera). Good host and two funny dogs… Let me know if you want to get a link. Which is your favorite Copenhagen layer? Do you know another one that you like? Here is the link to part 1 of our weekend in Copenhagen. 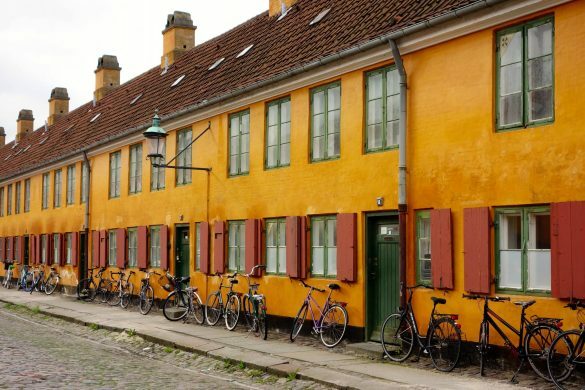 More reading about Copenhagen on this blog: The yellow houses of Nyboder. My favourite layer was the design layer. Orestad looks gorgeous, especially the terraced ‘green’ roof of the one building. I wonder how many layers of Copenhagan you’ll explore next time? My favorite layer was your architecture take…the museums and arts centers look amazing. I knew the areas were progressive, but had no idea they were so beautifully modern as well. It made me want to visit there. I have not had it on my travel list before, but now it sure is! Thanks Priscilla. I trust Paris also has a design layer, but indeed in Copenhagen it’s really obvious and the city is well-known for it. I really appreciate great design so I’m quite sure I’d love Copenhagen – plus I love the fact biking plays a prominent role in their lives. What a great apartment you found – nice and airy – and how imagine most living to be in that city. Thanks for all the great ideas of what to see. It was really amazing to see how many people traveled on bikes. Comparable to Amsterdam but maybe even topping the Dutch capital! 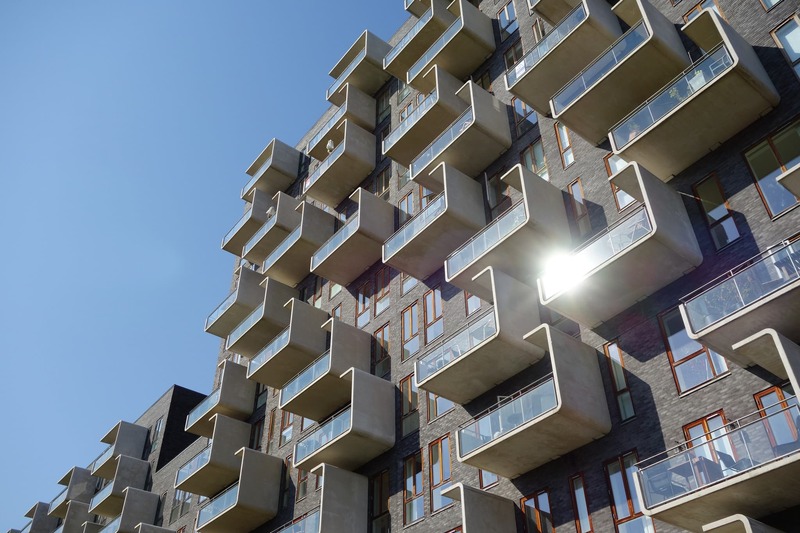 Fantastic suggestions – Copenhagen really is a fantastic choice of destination for those who love urban exploration, and they’re really at the forefront in my mind of cutting edge when it comes to unique urban design. 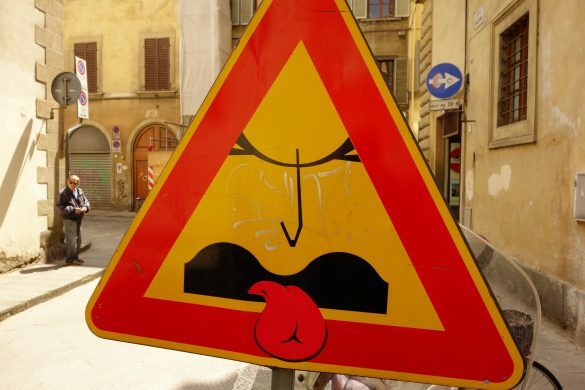 More cities should take their lead!! Agree Megan! Hope you make it back to Copenhagen again in the future. I love your unique suggestions on how to visit Copenhagen. And just on the basis of your delightful photos, I feel I’ll miss quite a lot if I don’t get to visit this Danish capital (even if only for its architecture).